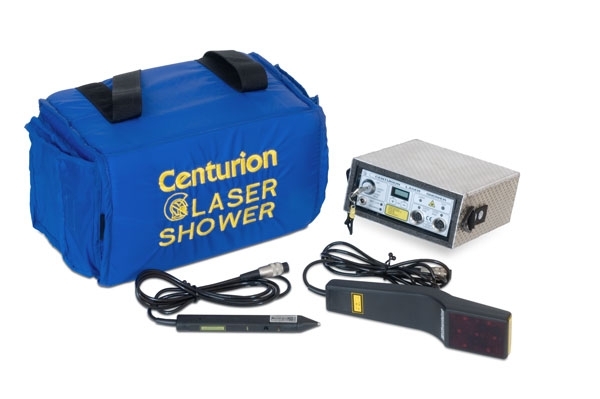 The Centurion Laser Shower operates by emitting a continuous shower of laser light at multiple frequencies from the treatment heads, so that a wide range of problems from surface injuries to deep seated soft tissue injuries may be treated without resorting to specific frequency selection for a particular problem – as was previously required by older style units. There are five actions of laser light on tissue that will be helpful to a better understanding this type of therapy. The most common example of the conversion of light energy into chemical energy is photosynthesis, where plants manufacture food from carbon dioxide and water. Light energy from the sun is the essential item in that process. No reasonable person disputes photosynthesis, it is a well know process that converts photons of light energy into chemical energy. The action of laser light is quite similar to photosynthesis in plants.Photons of light from a laser, penetrate deeply into tissue and power the synthesis of adenosine triphosphate (ATP). ATP is a molecule that is a major carrier of energy from one reaction site to another in all living cells. Increases in ATP as a result of laser light increases the energy available to the cell so that the cell can take in nutrients faster and get rid of waste products. In straight forward terms, the cells of tendons, ligaments and muscles are repaired faster as a result of exposure to laser light. How much faster? A good rule of thumb is that the time for healing is reduced by 2/3 ‘s of the time that it normally take with all other factors remaining the same, i.e. rest, nutrition, training. Collagen is the most common protein found in the body. It is estimated that 80% of the body is made up of this important fibrous protein. Various types of tissue make up the body. Connective tissue is the most widely distributed. In connective tissue, fibroblast cells produce the ground substance and tissue fiber. The “extra” energy from laser light is used by fibroblasts to increase collagen production. Collagen is the essential protein required to replace old tissue or to repair tissue injuries. Perhaps the most common example of collagen is the clear sticky substance found around open wounds. Wounds are healed or closed over very rapidly by the application of laser light. There is also less scar tissue found when laser light is applied to the area. Laser light has a highly beneficial effect on nerve cells which blocks pain transmitted by these cells to the brain. Studies have shown that laser light increases the activity of the ATP dependent NA-K pump. In this case laser light increases the potential difference across the cell membrane moving the resting potential further from the firing threshold, thus, decreasing nerve ending sensitivity. A less understood pain blocking mechanism involves the product of high levels of painkilling chemicals such as endorphins and enkephalins from the brain adrenal gland and other areas as a result of exposure to laser light. Everyone wants to reduce swelling in a leg. The problem is that the veins in the leg are only capable of removing one component of the swelling. Blood vessels can remove the water but not the dirty protein solution that is present. So, if you have a treatment modality that accelerates blood flow you have not solved this part of the problem. The lymphatic system is required to take away dirty proteins from edema. Laser studies conducted in 1987 and early 1988, indicate that laser light is capable of doubling the size of lymphatic ducts in the area of exposure and rapidly removing the protein waste. Another important aspect of the study showed that laser light was capable of “perfect” regeneration of the lymphatic system in the immediate area with no leakage and no confused network of ducts. In the normal regeneration of lymphatic systems, the ducts are leaky and the duct network is complex and confusing, leading to a tendency to have the same problem occur in the same area. Many types of treatments will increase blood flow. It has been shown that laser light does this extremely well, there is no question about that point. But what is not commonly recognized is that laser light will significantly increase the formation of new capillaries that speeds the healing process, closes wounds quickly and reduces scar tissue. 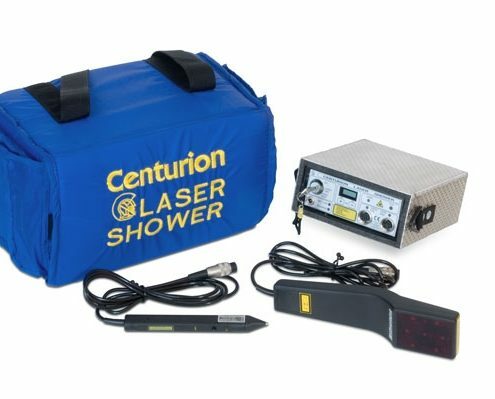 The Centurion Laser Shower has a very user-friendly design and offers the latest in laser therapy technology available. The Centurion Laser Shower operates by emitting a continuous shower of laser light at multiple frequencies. This makes that a wide range of problems ranging from superficial wounds to deep seated soft tissue problems may be treated. It is not necessary to specific frequency selection for a particular problem – as is required by older style laser units. Research has shown that the most effective penetration of laser light is achieved by using laser diodes which operates at 785 NM. This will increase the effective average power directed towards the injured area and allow better penetration of the laser light. The Centurion Laser Shower is battery operated and each charge will last 10 hours before recharging becomes necessary. The supplied charger is then plugged into the unit and it will be charged overnight, ready for use in the morning. The Ultra-Wide Head emits laser light at 785 nanometers from seven laser diodes and is utilized over large treatment areas. The Superfine Head emits laser light at 785 NM from a single laser diode and is used for small treatment areas and to stimulate acupuncture points. Centurion Systems offer unconditional warranties which cover any and all problems including labor and replacement parts. Your Centurion Dealer will keep you informed about the Centurion Warranty extension program which is honoured at any of our Service Centres around the world.  One of the things that make us unique is our 3 month rental program which allows you, our client, to evaluate a product over a three month period. 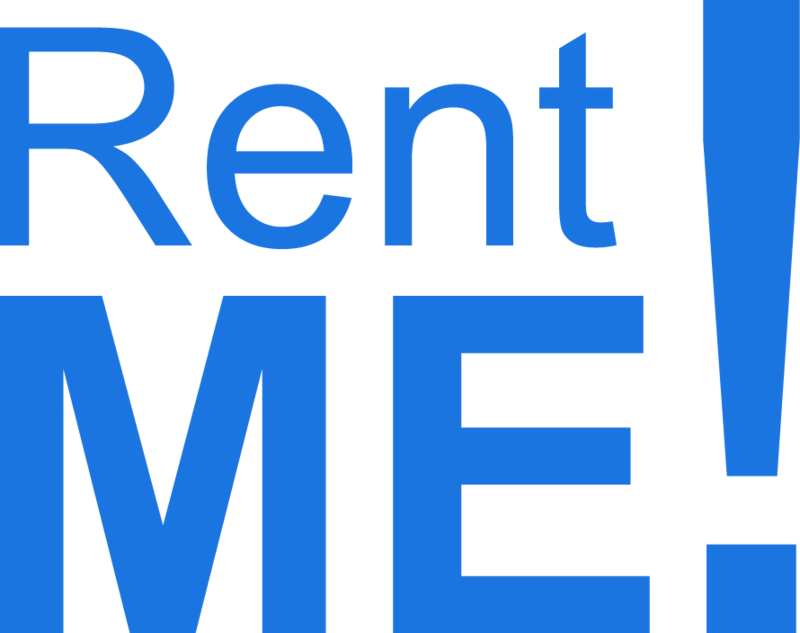 Not only will you see how it works for you, but if you choose to keep it, all rental fees goes towards the equipment equity.